Sir William Nigel Paul “Bill” Cash is a British Conservative politician and Member of Parliament, where he is a vocal Eurosceptic. He was elected as Chairman of the European Scrutiny Committee in 2010. In the early 1990s Cash was one of the leaders of the “Maastricht Rebellion”, opposing the implementation of the Maastricht Treaty. In 1993 Cash founded the Eurosceptic European Foundation of which he remains chairman. The UK is not an obstacle to harmony and stability. 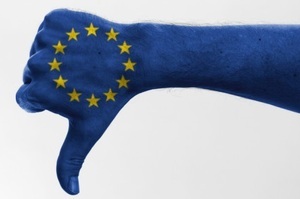 It is the EU integrationists who generate economic and democratic instability.